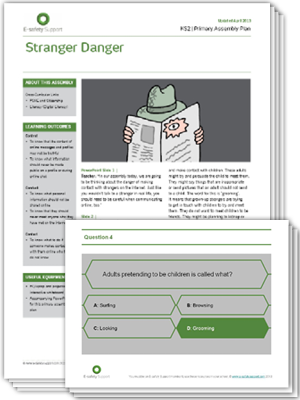 Schools can now reach their whole school community with this free resource from Safeguarding Essentials. By adding the E-safety News & Information Widget to your school website, teachers, parents, pupils and school governors will be able to see the latest news, articles, definitions and up-to-date information about e-safety issues every time they visit the school website. 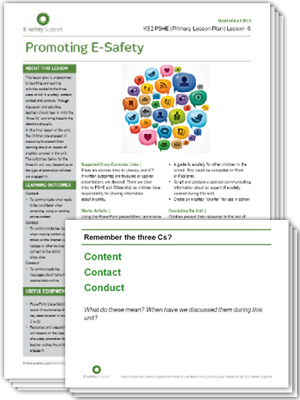 The E-safety News and Information Widget is a simple service available to all Safeguarding Essentials members including Free membership. 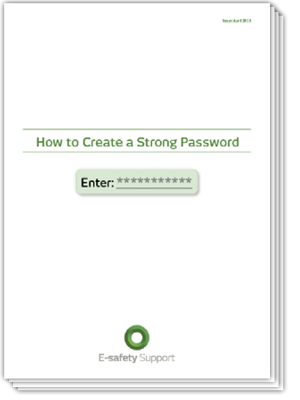 By copying and pasting a few simple lines of code you can add the widget onto a page on your school's website. The image to the left demonstrates how this would appear. Every time we have an e-safety update, you will too. 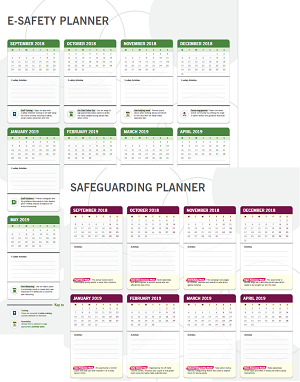 Log in to your Safeguarding Essentials dashboard for further instructions and the code for adding the widget, or join now if you are not already a member. 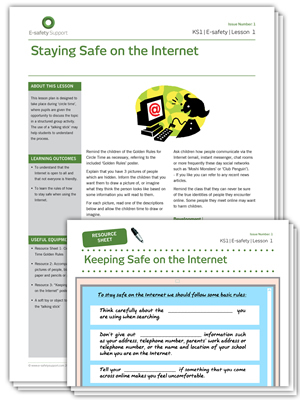 These E-safety Support resources offer simple questionnaires that you can use with your key stage 1 and key stage 2 pupils to learn how they are using the Internet and to gauge their understanding of appropriate use. 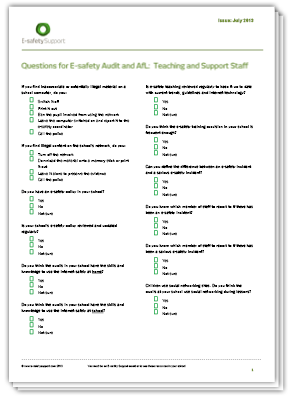 Both questionnaires are in multiple choice format, with more detailed questions for the older students. 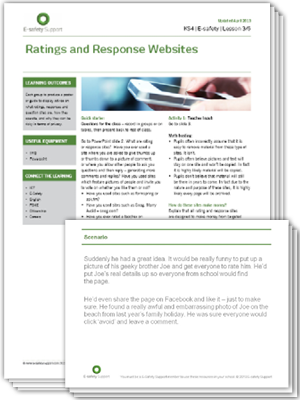 You can use the results to assess the e-safety learning requirements in your class and identify areas where they are potentially at risk. 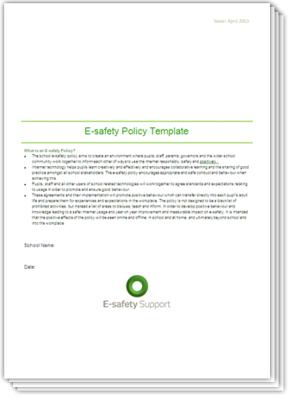 This document contains a number of questions that can be used as part of an audit or survey to get an idea of the current levels of parental awareness when it comes to e-safety. 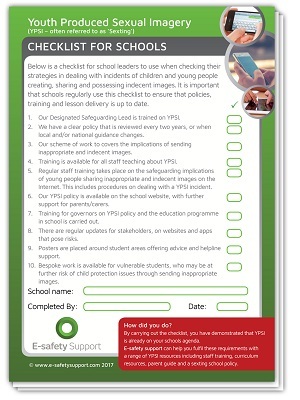 The result will help schools to plan their e-safety content and strategy. 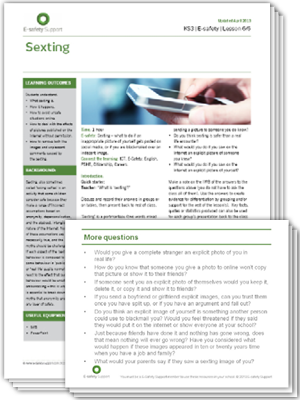 You can use the survey as it is, or cut and paste to create a shorter version to suit your requirement. 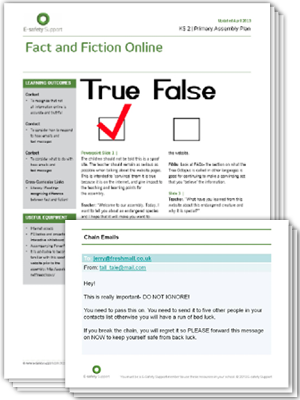 You can then send it by post or by email to parents, or ask the questions face-to-face at presentations. It seems that there is a whole new language developing in the digital landscape - LOL!. But while many are playful and literal abbreviations, some are more potent. 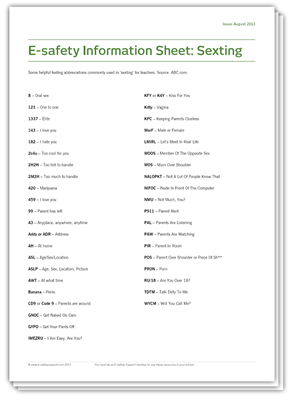 To help make parents (and teachers) aware of some of the sexting abbreviations, we have compiled a short glossary. 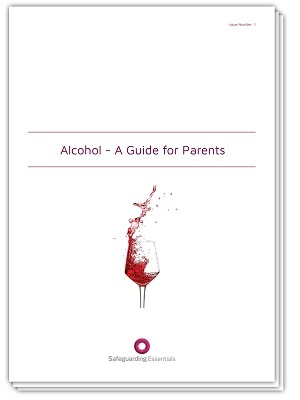 This is by no means exhaustive, but will help to educate parents about this new form of communication. 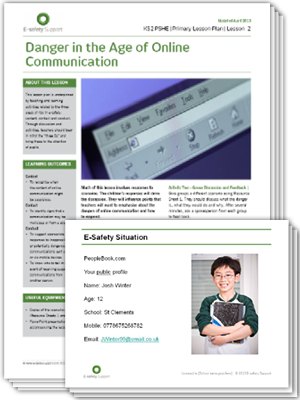 Providing a presentation to parents on e-safety, as a standalone event or as part of wider activities, is a great way to raise awareness, encourage discussion and promote good practice. However, it can take a lot of work to organise. That's why we have created this PowerPoint for you. 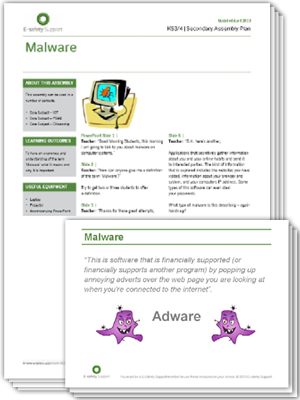 It covers all the areas you'll want to cover, but can easily be adapted for your individual needs. You can also make it available online for parents to recap or who may have missed the event. The PowerPoint contains links to video in the notes sections of relevant slides. 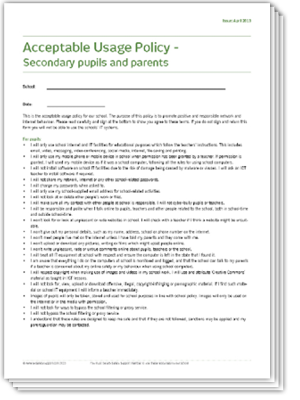 This guidance document is for teachers to help them engage parents with e-safety. 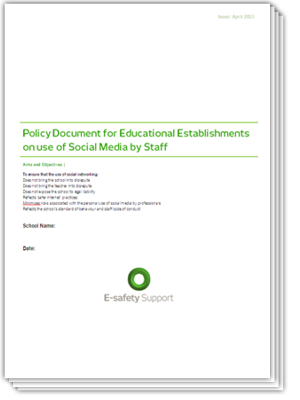 The document has been written by an experienced ICT teacher who has worked successfully with parents and schools on e-safety. 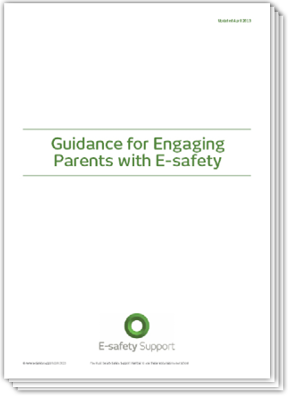 The guidance will help you plan content and activities for parents around e-safety and make sure you get maximum impact and engagement. 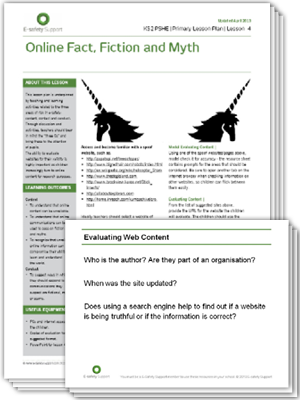 It includes advice and tips on planning your content and activities, delivering them and following up. 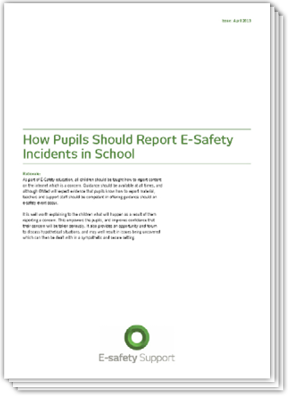 A key element of e-safety provision in schools is the clear and effective use of reporting procedures. 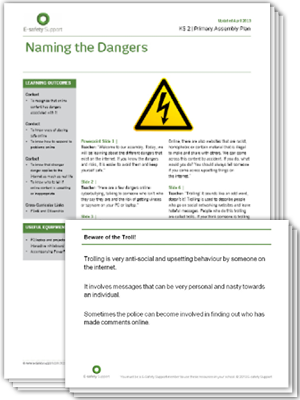 Ofsted will expect all staff and students to know how to report e-safety incidents, and how to recognise when an incident has occurred. 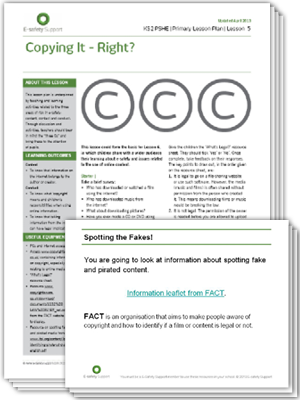 The guidance document starts from a common sense approach which is easy for all schools to implement, and helps teaching staff understand what constitutes illegal or inappropriate content. They are then given instructions as to the appropriate response and reporting mechanism. 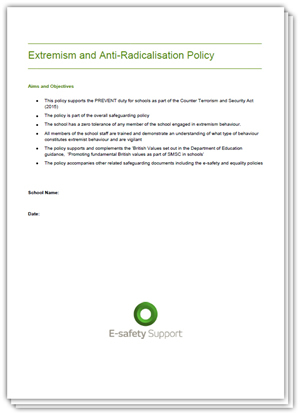 Recommendations are made as to best practice and the protection of children and staff in case of an e-safety incident. 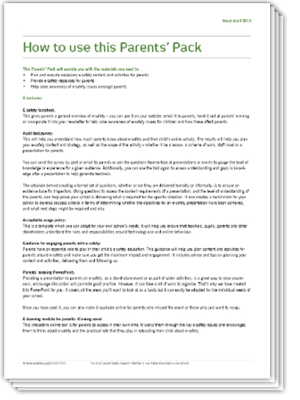 The Parent Pack of resources includes factsheets, an audit questionnaire, a PowerPoint presentation and guidance for teachers. 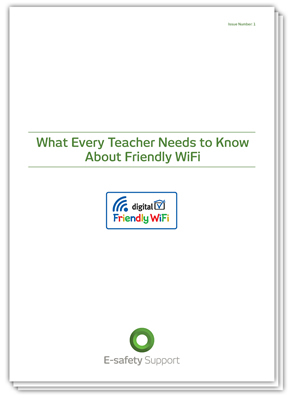 This document explains how each of these resources can be used by teachers and e-safety co-ordinators to improve communications between parents and schools. A useful assembly for an e-safety recap or introduction, this assembly raises key online safety issues such as cyber bullying, security, inappropriate content, trolls, plagiarism and bogus websites. The teacher takes the children through each issue and helps them to understand how they can avoid it, or deal with it. The assembly includes a script for the teacher, and a PowerPoint presentation for the children. In this assembly, children at key stage 2 are encouraged to think critically about information they source online. Using an excellent spoof website about the endangered “tree octopus”, the teacher demonstrates how young people can tell that information is incorrect. 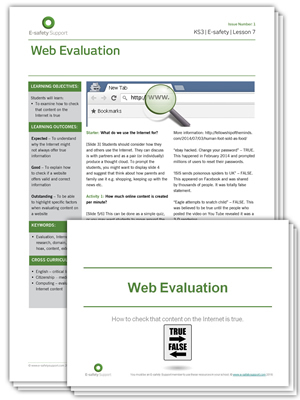 They are also introduced to the idea that Wikipedia isn’t always the best source of information, and that communications such as chain emails or texts should be ignored. The assembly closes with a number of top tips for helping children to decide if a website is genuine or not. This assembly includes a PowerPoint presentation for displaying at the assembly and a script for the teacher. 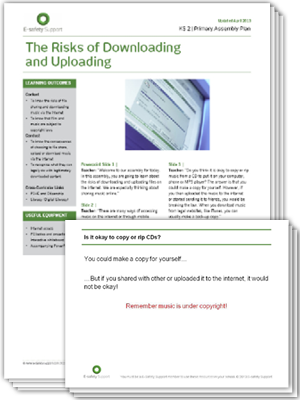 This assembly helps young people to understand the risks and consequences of illegally listening to music online, of downloading music illegally and copying downloaded files. 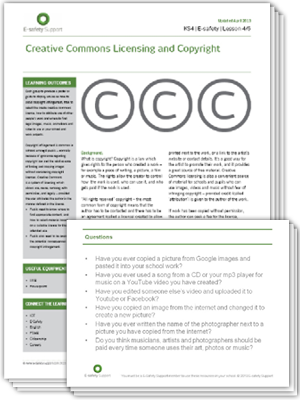 It also touches upon the illegality of uploading copyrighted content. 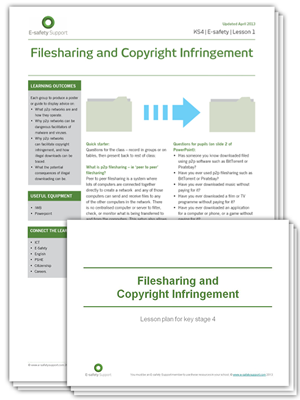 The teacher explains the risks, the possible consequences, and how to avoid illegal downloads. 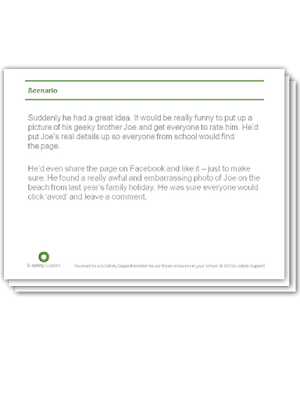 The assembly comes with a script for the teacher and a PowerPoint presentation to use with the children. Young people spend increasing amounts of time online, as well as watching TV and instead of playing outdoors. This assembly raises the issue of being addicted to using the Internet, whether it is for social networking, gaming or research. 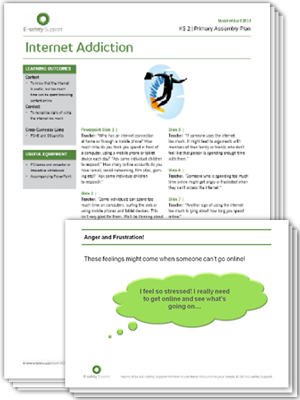 The teacher explores possible consequences of Internet addiction, including social and health impacts, and offers advice on reducing time spent online. The assembly includes a PowerPoint and a script for the teacher. 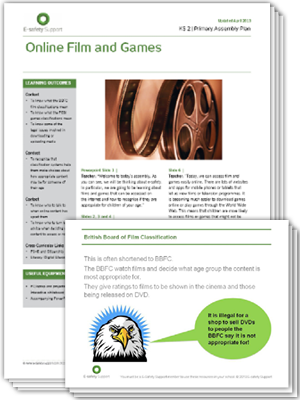 Many younger children are exposed to film, TV and gaming content that is certified as being suitable for much older young people. Younger boys in particular will be keen to play online or console games that have a 15 or even 18 certificate. These games will have violent or sexual content that is entirely inappropriate for younger children. 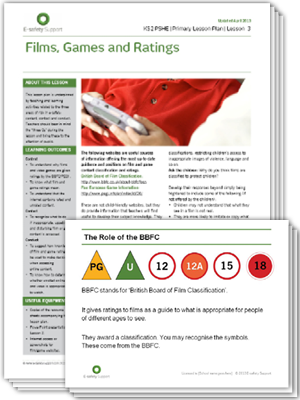 In this assembly children learn about the BBFC and PEGI classifications, why they exist, and how they work. 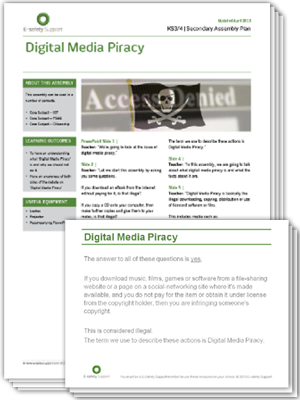 They also consider the implications of watching films or TV shows that have been illegally downloaded. 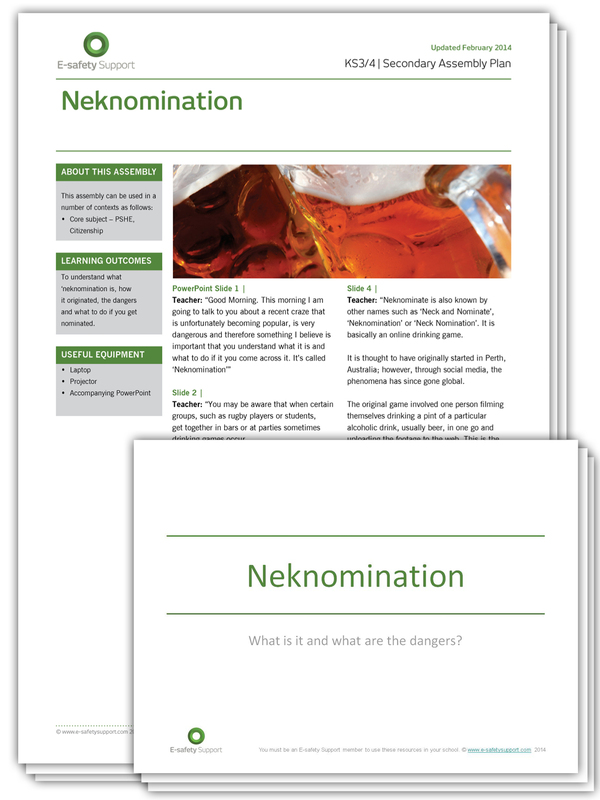 The assembly includes a PowerPoint and a script for the teacher to read from, or use as a starting point. 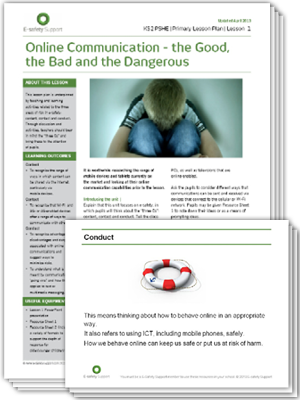 By key stage 2, pupils should be well aware of the risks of stranger danger online. This assembly reinforces understanding and awareness about grooming and inappropriate contact. The assembly concludes with a fun "Who wants to be a Millionaire" style quiz. 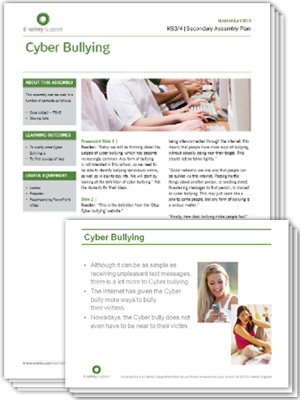 This primary assembly resource, which engages with the PSHE curriculum, allows a KS2 primary teacher to focus on developing children’s awareness and understanding of cyber bullying and the importance of staying safe when using technology to communicate. 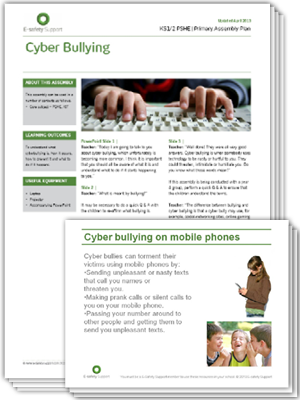 The assembly aims to provide advice and explanation about cyber bullying without frightening primary-age children. The assembly then develops the primary children’s awareness of the issue by explaining how varying forms of cyber bullying occurs through different technologies such as mobile phones, social-networking and online gaming. 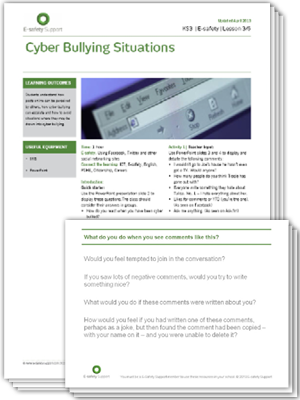 Primary school teachers will be able to use this idea for an assembly to give the children the information, awareness and capability to know if someone is cyber bullying them or if a friend is being targeted. Through the assembly, the children will know how to react to cyber bullying and the appropriate actions to take. This assembly can be used to support the school’s safeguarding work and to ensure that pupils feel confident to speak out if they have worries or concerns and know who to approach. The aim of this key stage 1 and 2 assembly is to ensure pupils feel safe and know what to do if/when they do not. 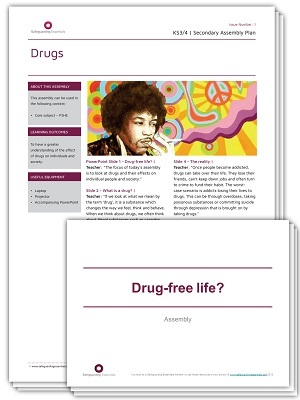 This assembly provides pupils with an understanding of what drugs are (including alcohol and tobacco) and the physical consequences of taking controlled substances. 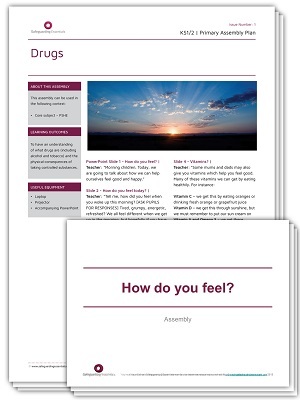 Pupils are encouraged to consider things that make them feel good, to help them compare the physical feelings against the negative effects of drugs. 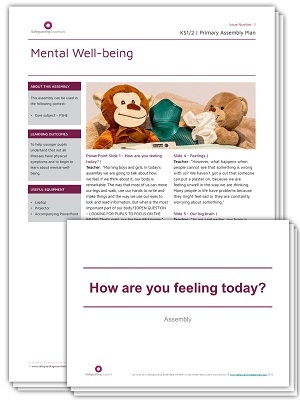 This key stage 1/2 assembly is designed to help younger pupils understand that not all illnesses have physical symptoms. 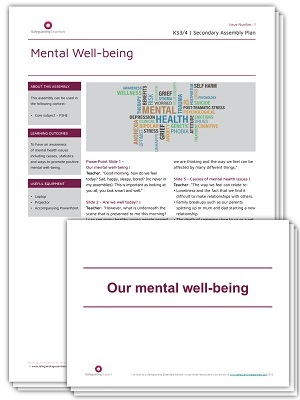 It introduces the idea of mental well-being and discusses ways to help maintain good mental health. This key stage 2 assembly is designed to help pupils develop an awareness of FGM, what it is, where and why it happens as well as knowledge of where to seek help and advice. 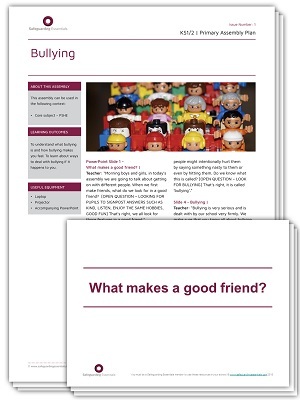 In this assembly designed for key stage 1 and 2, pupils will understand what bullying is and how bullying makes you feel. 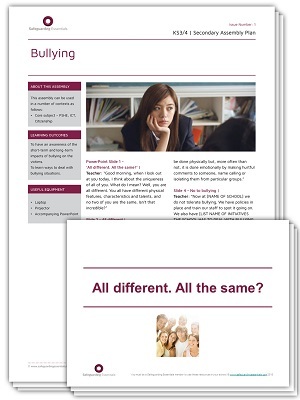 They will learn about ways to deal with bullying if it happens to them and where to go to for advice. 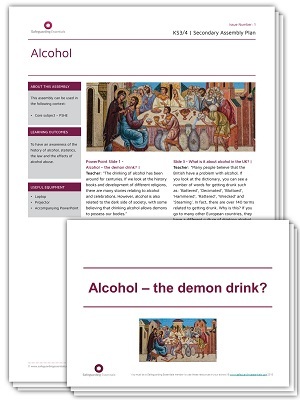 This assembly will help pupils develop their awareness of what alcohol is. 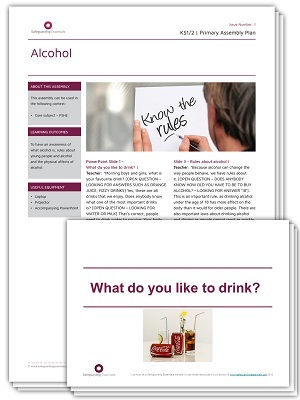 They will also learn about the rules about young people and alcohol and the physical effects of drinking alcohol. The assembly includes some open questions to help engage the pupils in the assembly. In this assembly designed for key stage 2, pupils are given an understanding about the risks of sharing information via the Internet (primarily images). 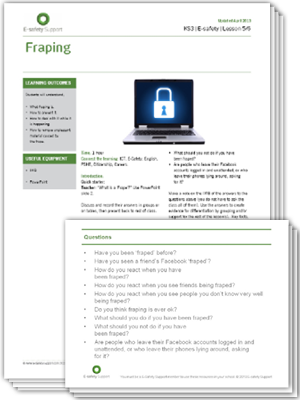 They will also be introduced to why it’s not always appropriate to share and learn about privacy settings. 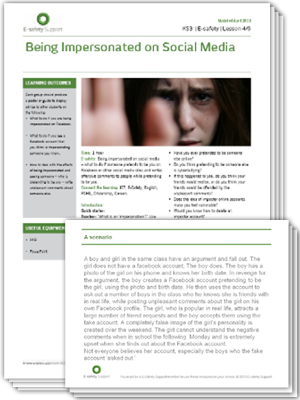 As pupils become more advanced users of the Internet, it is important to understand how they interact with other users and also how they perceive the online actions of themselves and their peers. 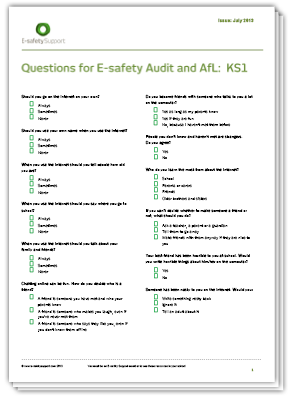 The E-safety Support audit for key stage 3 and key stage 4 offers a detailed self-assessment for pupils, which will help you to understand not only the actions of your pupils but also the thoughts and behaviours associated with their Internet use. Ensuring that the whole school is familiar with e-safety issues extends from the students to the staff, the senior leadership team and through to the governors. 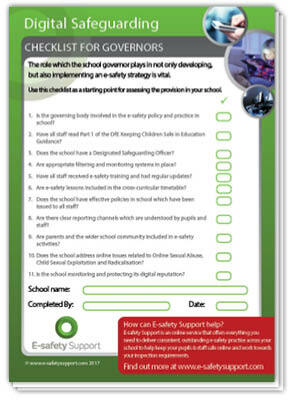 These E-safety Support audit surveys are designed to help ensure that your school is making everyone aware of their responsibilities in delivering a comprehensive e-safety strategy. 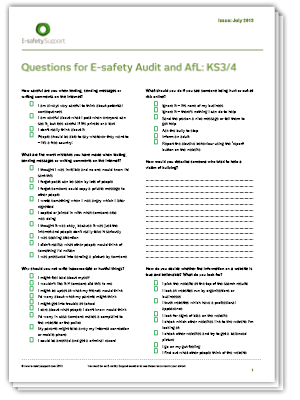 The multiple choice questionnaires will monitor the awareness of e-safety issues and the schools’ policy in practice among this key stakeholder group. 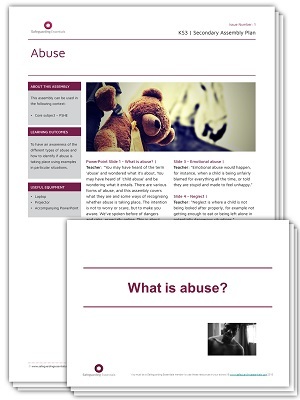 Abuse is a form of maltreatment (in this context, of a child). Somebody may abuse or neglect a child by inflicting harm or by failing to act to prevent harm. Children may be abused in a family or in an institutional or community setting by those known to them or, more rarely, by others (for instance, online). 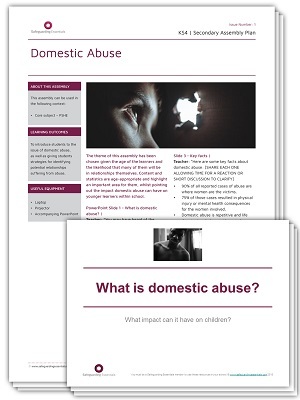 They may be abused by an adult or adults, another child or children. 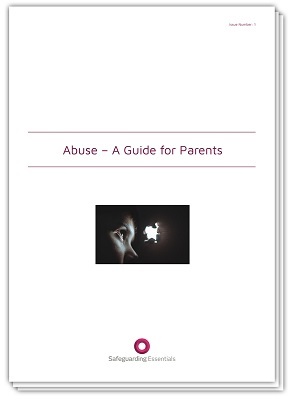 This short guide defines the different forms of abuse to assist parents in safeguarding their children. 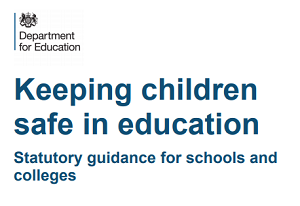 All school and college staff should be aware that abuse, neglect and safeguarding issues are rarely stand-alone events that can be covered by one definition or label. In most cases, multiple issues will overlap with one another. 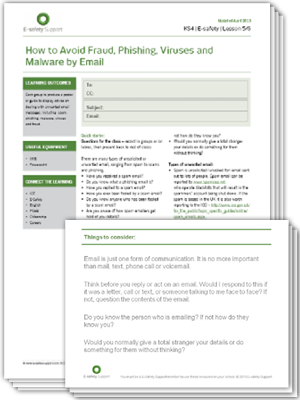 This checklist is broken down into four sections to help staff identify possible issues. If this checklist raises any concerns about a particular child, it should be discussed with a designated safeguarding lead. 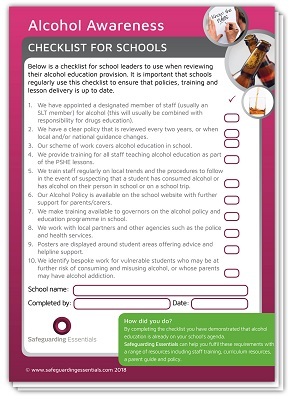 This alcohol checklist can be used by school leaders when they are reviewing their alcohol education provision. 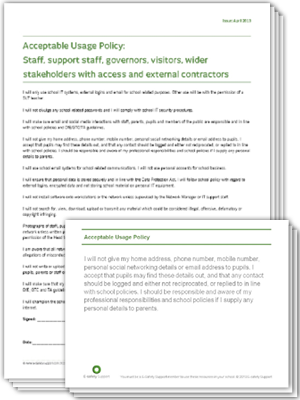 It is important that schools regularly use this checklist to ensure that policies, training and lesson delivery is up to date. 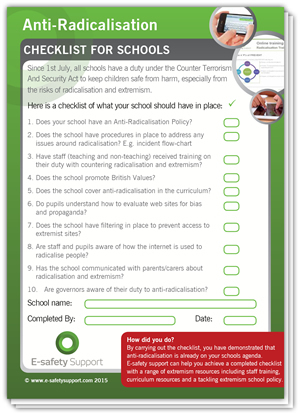 Since 1st July 2015, all schools have a duty under the Counter Terrorism And Security Act to keep children safe from harm, especially from the risks of radicalisation and extremism. 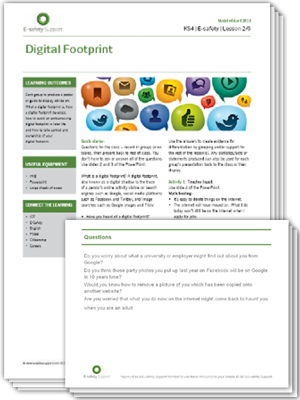 This checklist will help identify the key elements your school should have in place. 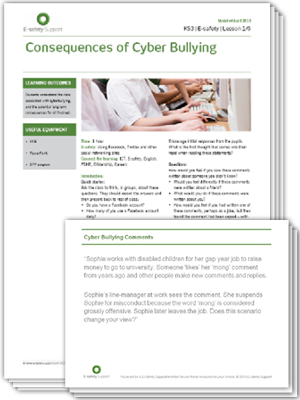 Parents should be aware that bullying is taken very seriously at school. 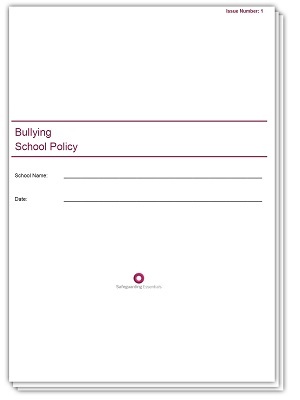 However, as a school you cannot monitor pupils around the clock as bullying can occur outside of school. 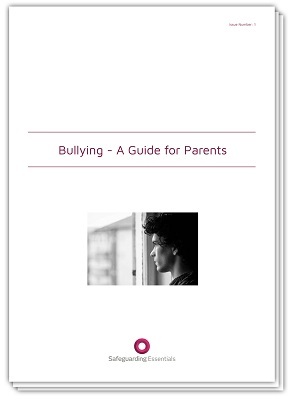 This guide supports parents in knowing the different types of bullying, signs that their child is being bullied and other agencies that can support them. 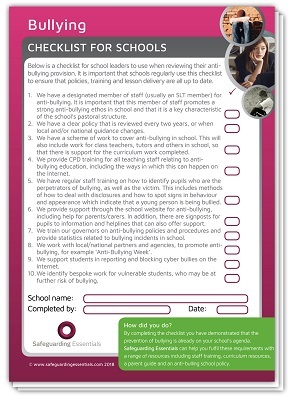 The bullying checklist can be used by school leaders when reviewing their anti-bullying provision. It is important that schools regularly use this checklist to ensure that policies, training and lesson delivery are all up to date. Child sexual exploitation is when a child or young person is in an exploitative situation and receives gifts or other items as a result of performing sexual activities to the abuser. 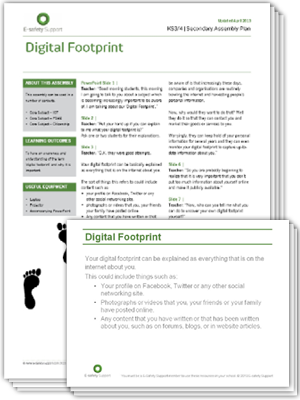 It can also occur through technology when a child or young person is persuaded to post images on the Internet. It is vital that parents play a role in identifying if their child may be a victim of CSE. 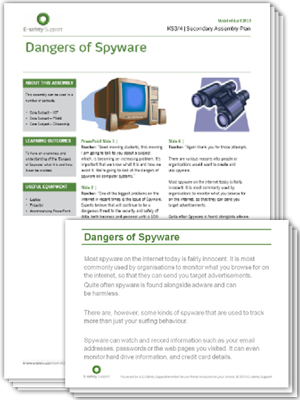 This checklist will help them become aware of some of the signs to look out for. 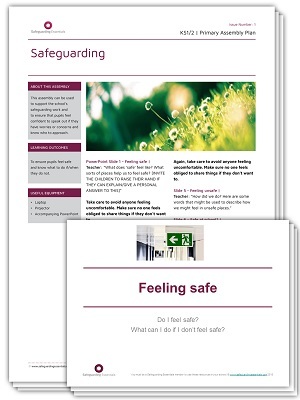 CSE is an important area for all schools to include as part of their safeguarding policy. This checklist is a self-review tool to support the school in ensuring that it has robust policies and procedures in place to deal with any risks associated with CSE. 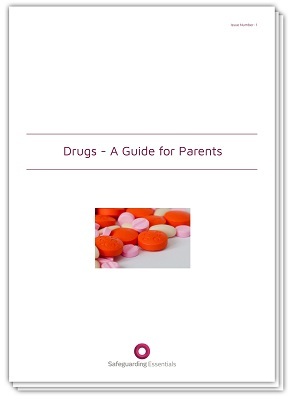 Parents are naturally worried about their child being exposed to, and potentially experimenting with, drugs. 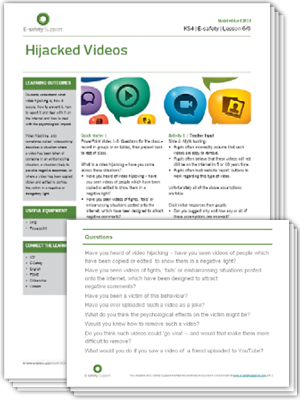 So, this simple guide acts as a checklist for identifying possible signs along with actions that can be taken to discuss this matter with their son/daughter and other agencies. 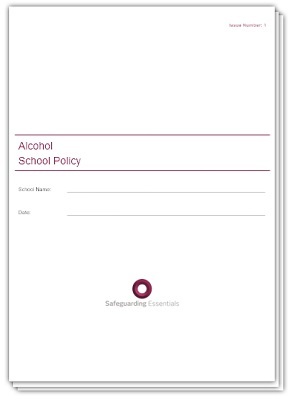 The Safeguarding Essentials checklist is designed to assist schools when reviewing their drugs education provision. 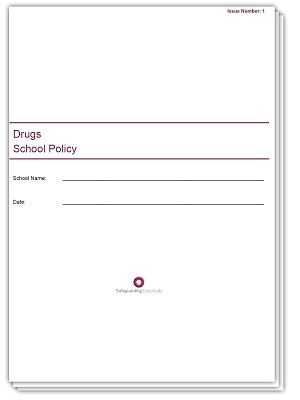 The checklist is designed as a self-review tool to help identify key provisions for drugs awareness that should be in place as well as actions that the school should take to ensure that policies, training and lesson delivery is up to date. 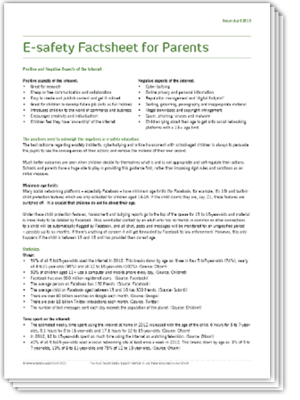 This factsheet gives parents a general overview of e-safety. Schools can email it to parents, hand it out at parents evening or incorporate it into your newsletter to help raise awareness of e-safety issues for children and how these affect parents. 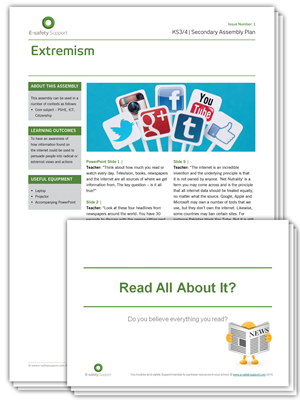 It gives parents an overview of the positive and negative aspects of the Internet, some key statistics, tips and useful links. Teachers in England and Wales have a mandatory duty to report known cases of FGM in girls under 18 years old to the police. The FGM duty came into force on 31 October 2015. It is important that parents know that if they have any concerns regarding FGM relating to a child in school, they can speak to the DSL who will advise and act as appropriate. 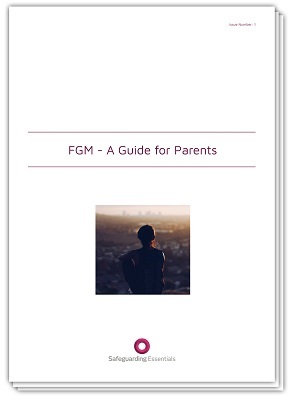 This guide provides some key information for parents about the types of FGM, the law and health implications. Female Genital Mutilation is an illegal act. However, around 60,000 girls are thought to currently be at risk of the procedure in the UK. This checklist for schools and staff provides a quick guide to signs that could suggest that a girl is at risk of undergoing the procedure. It also offers indicators that may demonstrate that FGM has taken place. The role which the school governor plays in not only developing, but also implementing an e-safety strategy in school is vital. The Department for Education have highlighted a number of key features of effective practice in relation to online safety in schools and Ofsted have placed greater emphasis on inspecting the effectiveness of the governing body in ensuring that schools meet all of these criteria. 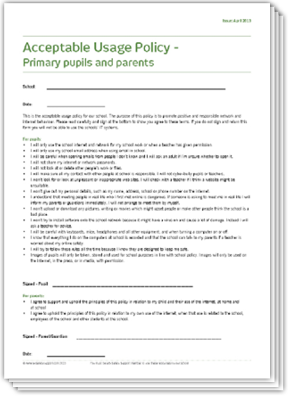 This checklist can be used by school governors as a starting point for assessing the provision in your school. 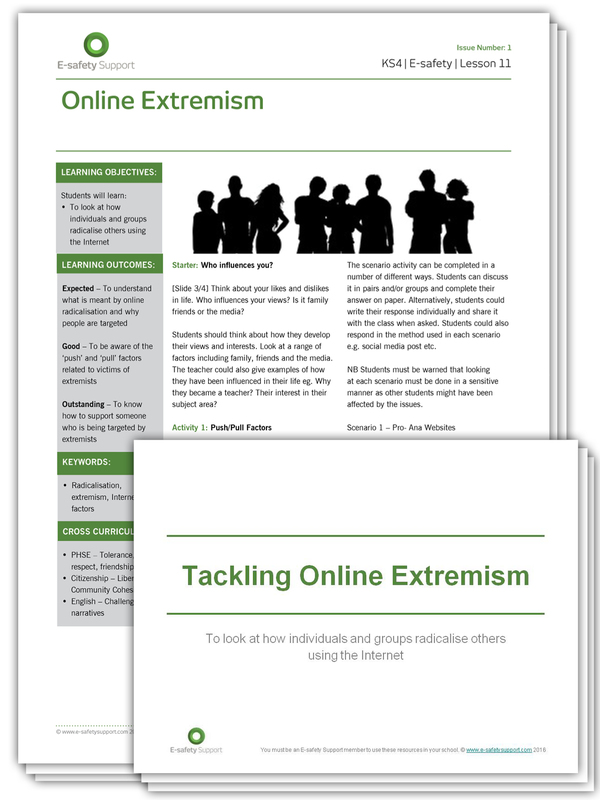 This resource sheet supports the KSCIE online training course and provides links to further information across a range of safeguarding topics. It is important for parents to ensure that they can support the mental well-being of their children, as they would for any physical condition. 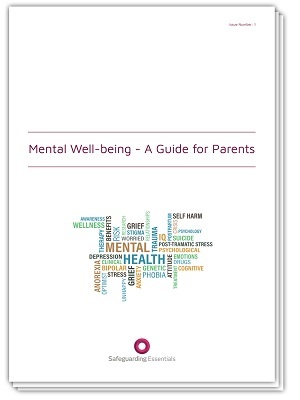 This mental well-being guide for parents will help them to identify signs of mental health problems, factors which could lead to future problems and strategies to promote positive mental well-being. 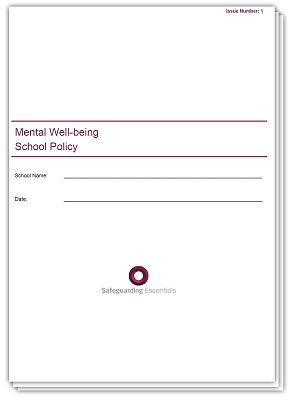 This mental well-being checklist will help demonstrate that mental well-being is already on your school’s agenda. 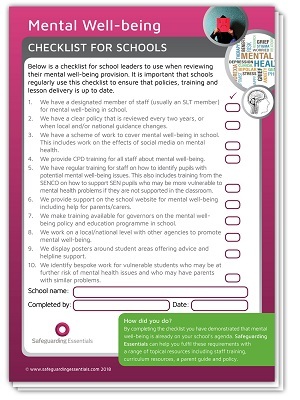 The checklist will assist school leaders when reviewing their mental well-being provision including curriculum contents, staff training and policy implementation. Parents may have heard the phrase ‘safeguarding’ before and wondered what it meant. 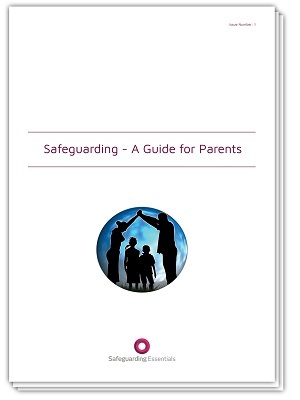 This guide for parents introduces the term 'safeguarding' and goes on to explain their role in keeping their children safe from abuse and maltreatment, preventing harm to their health and development and providing safe and effective care for them. 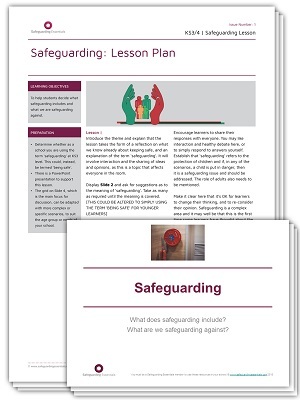 This safeguarding checklist is based on the Department for Education’s statutory safeguarding guidance, Keeping Children Safe in Education, as well as inter-agency safeguarding guidance Working Together to Safeguard Children and guidance on the inspection of safeguarding from Ofsted. 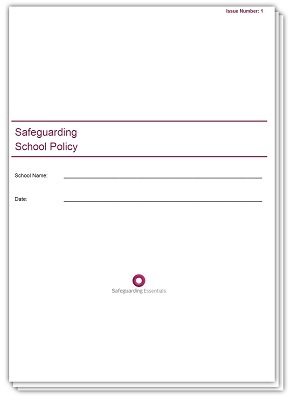 It provides a starting point for reviewing and assessing your current safeguarding provision in school. 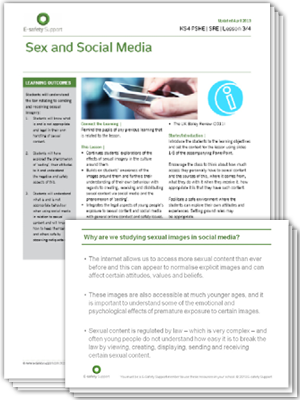 This handy guide that schools can share with parents provides some key information about sexting (or Youth Produced Sexual Imagery). 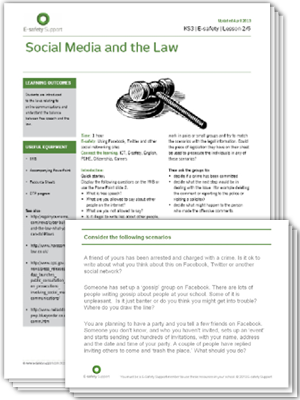 The parent guide includes information regarding attitudes to sexting, the law and potential consequences of taking and sharing inappropriate images, tips on what parents can do and links to useful websites. 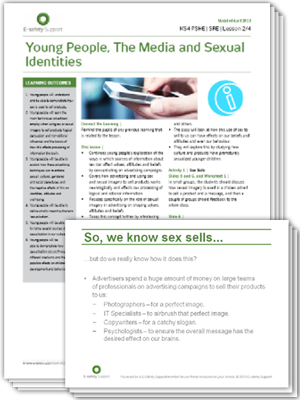 School leaders can use the sexting checklist when reviewing their strategies in dealing with incidents of children and young people creating, sharing and possessing indecent images (sometimes known as Youth Produced Sexual Imagery). The internet brings marvellous opportunities to children and young people with the ability to learn new skills and visit websites which engage and enrich their lives. However, the internet also brings dangers such as online predators who will try and contact children through websites and software applications. 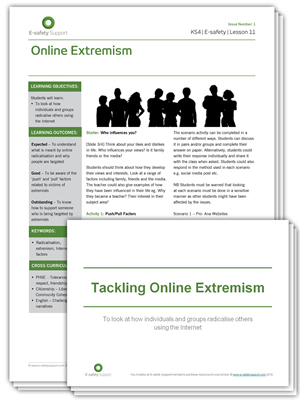 This guide will help parents and carers learn more about the danger of their children being targeted by online extremists. 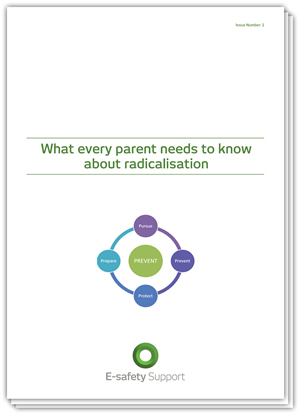 The guide provides information to help them identify the issue of online radicalisation and gives suggestions on how to support their children with the threat of online extremism.